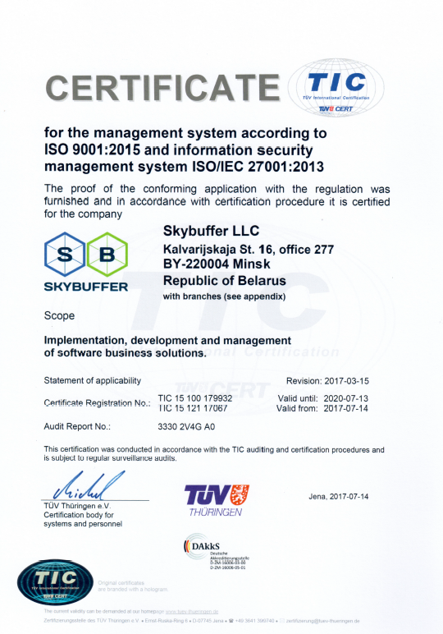 SKYBUFFER is an international SAP implementation and development company founded in 2013. 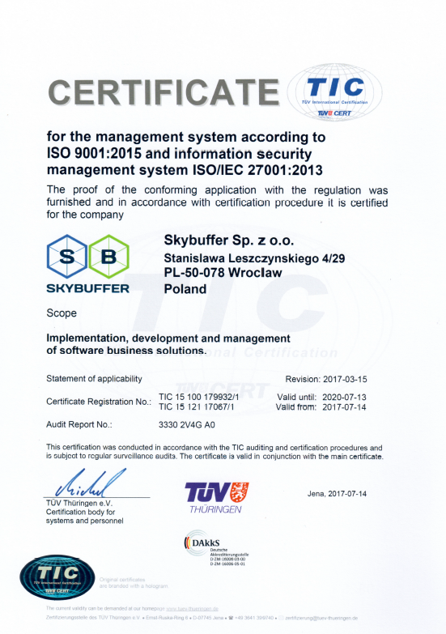 We are SAP Partner Center of Expertise certified by TÜV THÜRINGEN (ISO 9001:2015 and ISO 27001:2013). We are young, talented and successful! For 5 years of operating in the market, we have developed and successfully implemented 4 own products, a lot of custom SAP FIORI apps, 12 SAP long-term end-to-end projects. All our products and services are already in use with 12 customers and enjoy an excellent reputation and their positive feedback as they simplify S/4HANA or SAP ECC implementation processes and greatly cut operational costs. We offer you a fast HANA migration try-out using infrastructure from the service providers we are working with – Hetzner Online (preferred) or Amazon. All you need to do is to create your own account with any service provider and let us have access to it, to generate an instance, effect export from your current system and transfer the exports to our team. If necessary, we can provide assistance with export preparations, too. Simple solutions, smart services, cost-optimal hosting. Let’s not make SAP complicated! 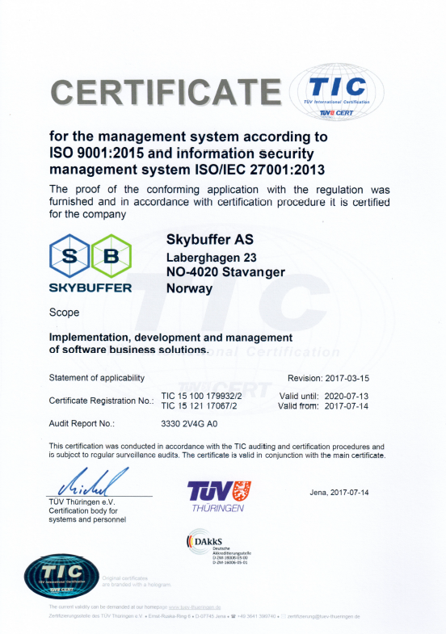 START GETTING VALUES FROM SKYBUFFER!